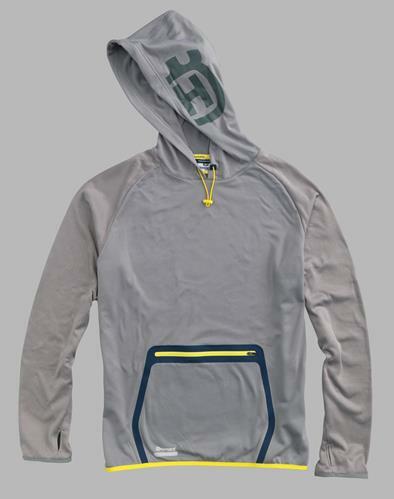 Light, functional hoodie. 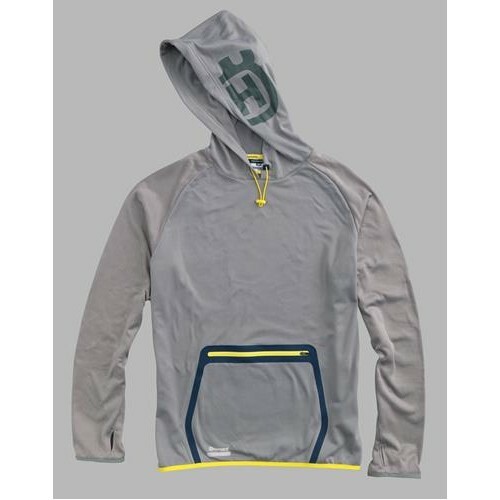 Hood with large Husqvarna logo print in a complementary shade and cord stoppers. Husqvarna logo on the shoulder in a complementary shade. Large pouch with edging and zip. Elastic arm and seam edging, raglan sleeves in grey blend with thumb holes. Soft inside, waffle look, 100% polyester fleece.